Best Android Lookout : Google Glass : Project Glass from Google ! Google is all set to take the next big step ! Project glass has been published in Time Magazine New York, USA as " The Best Invention of the year 2012 " in November 2012. 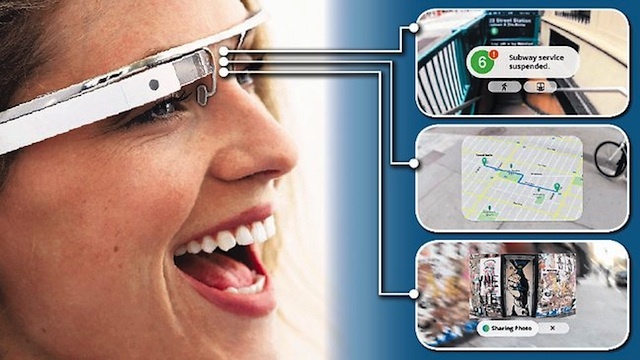 Project glass was unveiled by Google in June 2012 as the next big thing. Google is a company that gives a strong support to new innovations, by the announcement of Project glass Google has proved itself once more. Project glass will have a new shot at portable computing and also new development of software and new ways in which the information will be displayed to the user. The ultimate goal will be to enable the user to handle almost all computer tasks hands free. Project glass is said to work on Google's very own Android Operating System. It comes to us as little surprise as Android is used by a majority of smartphones and other gadgets today. A lot of developers back the Android OS. Coming back to Project Glass or as we use the popularized term Google glasses has been in the news ever since its announcement in June, we shouldn't let the excitement die out, many Android developers too are looking forward to Google's new creation Project Google Glasses. Here's a prototype version which was used as a demo piece ! - The Google glasses maintains a light and hassle free look as shown above. - The glass display will be placed a little above the eye, not exactly in line with the eye, so it won't disturb the regular activities for which you use your eye. - The compact design makes it very portable. - Google search shows the Project glass glasses in many colors, you can choose your favourite. - The Project glass glasses are expected to have a transparent LCD or AMOLED screen. - It is said that you can scroll and click by tilting your head. - It will be equipped with small Camera with a flash. 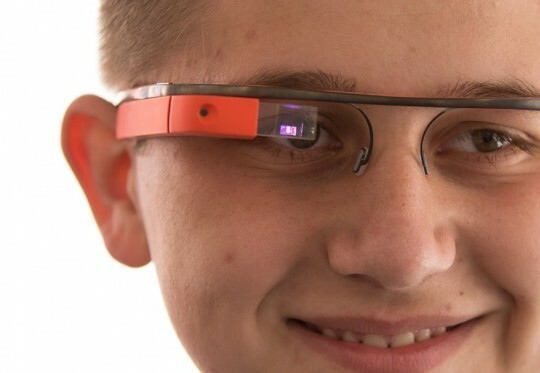 - The google glasses will have 3G and 4G connections and GPS. - It can be connect to a smartphone via Bluetooth 4.0, however the google glasses are designed to work independently from any phone. - It is expected to have a direct connection with the cloud 24/7. - Quite obviously the glasses will have Voice Input and Output as well. - The touch pad will be located at the side and the battery at the rear end of the glasses. 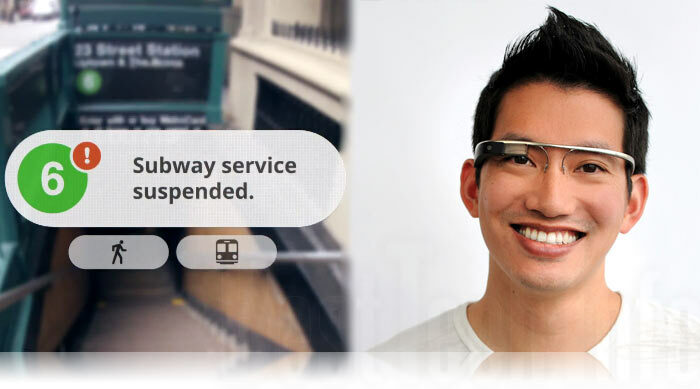 - Lastly, Google has also stated that the will not insert advertising in the Google glasses, as it annoys some users. 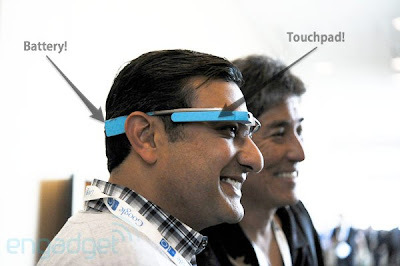 - The Project glass Google glasses is said to be available in 2013 for developers and late 2013 or early 2014 for consumers. - The pre-order explorer edition of Project glass was made available for $1500 to Google I/O attendees some months back. - Golden-i, a head mounted computer from Kopin corporation has released something similar in 2012, but it looks a lot bulkier than the Project glass. - Microsoft is also developing augmented reality glasses with a patent as a response to Google. - Other companies are expected to follow this new idea soon. Never let the machine control you, Its you who is and has always been in control, that's all I can say. The blind could use this as an audible GPS navigator tuned to pedestrians not cars, combined with an ultrasound object and hole sensor (sonic specs and long cane)the world will be accessable again. I dare say that spies and the military will have a use for it as well. I Imagined of a device that lets you see things differently with a computer you can actually see through you're vision. Now its starting to unfold. Next is Micro chips or micro memory hard disk to put in Information that human memory cannot hold. 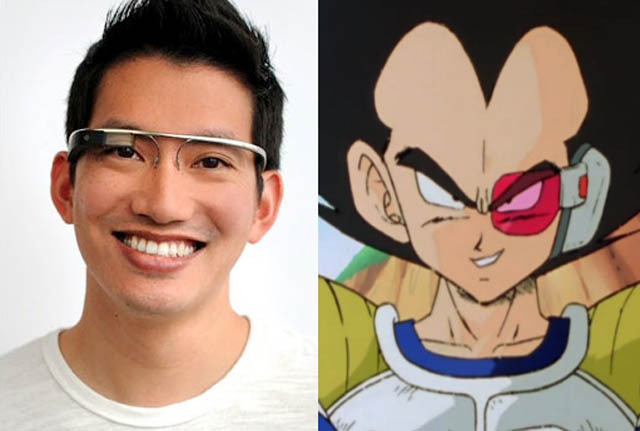 I really doubt that Google Glasses will take off in the mass market until they do not look like cyborg eyewear.